Laminate flooring in Greenville, SC is rugged, durable, aesthetically appealing, and priced right, which allows you to expand your decorating ideas without increasing your budget or sacrificing quality! Our local store is pleased to provide you with an incredible selection of affordable options, including our long-lasting and stylish laminate wood flooring, and our warehouse showroom is fully stocked with an impressive inventory. Upgrading your home’s floors is a strong investment to improve the value and style of your living space! Laminate wood flooring can offer you a luxurious look for a surprisingly low price. This is one of our most affordable options, potentially saving you hundreds, if not thousands of dollars. As well as being cost-effective, laminate wood flooring is also reliable and resilient – its durability makes it the perfect choice for high-traffic areas of your home. Masterfully constructed and enhanced with the visual design of wood grain, each vivid swirl in laminate wood flooring gives the appearance of natural hardwood. We offer an eclectic array of uniquely crafted designs of grain style, from subtle to moderate, or prominent to match your personal taste and style! The wear layer resists moisture and protects against fading, surface burns, and stains. The decorative or design layer provides an aesthetic that creates a beautiful appearance. The core layer provides protection against indentations and moisture; the durable high-density board helps with water resistance. The back, or balancing layer, stabilizes the floor and protects the planks against moisture. Our durable and quality laminate floors are updated every season to ensure that you will have the most diverse options and trending styles that fit modern homes. Your laminate flooring installation will be done right the first time when you rely on our dependable flooring experts to professionally install your floors. Our experienced team is a trustworthy network of qualified workers who operate our local warehouse and are ready to install your new floor. 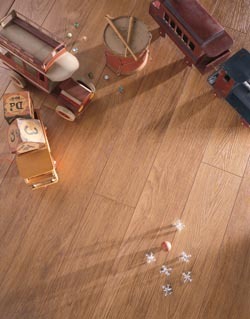 Our laminate flooring installation is accurate, efficient, and supported by a guarantee against defects! Contact us today at (864) 469-5947 to get information about our high-quality laminate flooring! We proudly serve the communities of Greenville, Greer, Spartanburg, Easley, and Anderson, SC.